NJERU – Vipers SC returned to second spot in the StarTimes Uganda Premier League thanks to a 3-1 win over Bul FC at the Njeru Technical Center. 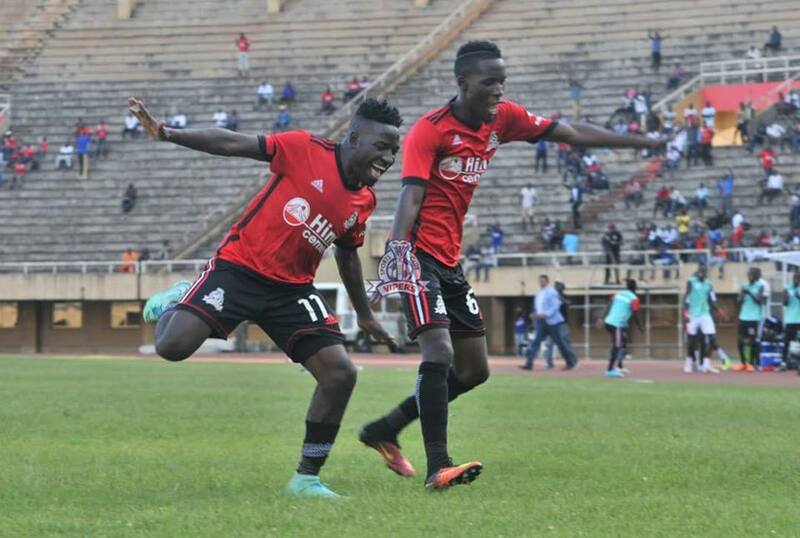 In the only StarTimes Uganda Premier League game played on Wednesday, the Venoms took a second minute lead through last season’s top scorer, Dan Sserunkuma, deflecting Yayo Lutimba’s cross in past Hannington Balunya in Bul’s goal. Sserunkuma nearly doubled his day’s tally but was denied by Balunya following a cross from Tito Okello. The home side who looked in shambles in the early exchanges finally got into the game with Josua Lubwama striking a free-kick straight at Derrick Ochan in the Venoms goal and moments later Richard Matovu fired wide of the target while in a promising position. With both sides failing to come an closer to scoring in the rest of the half, Vipers went into the break leading by a slender 1-0 margin. Nine minutes into the second, Villa Oromchan equalized for the hosts who looked lively since the interval. The striker struck into the right had corner after he was played in by Abdul Matovu. BUL could have doubled their lead five minutes later but Daniel Shabena, who was given a lot of space to run towards the goal, fired an inch wide. Vipers who had earlier lost Taddeo Lwanga to injury (replaced with Brian Nkuubi), brought on Noah Wafula and Duncan Sseninde in place of Sserunkuma and Abraham Ndugwa. On 74 minutes, Tito pounced onto loose defending by Bul moments after Nkuubi had earlier headed Lutimba’s well weight cross out. Sseninde put the game beyond BUL’s reach when the hosts failed to clear from the area, to slot from close range an effort that hit the post and into the back of the net. The win elevates the Venoms to second place on the log with 24 points from 10 games, as BUL FC remains in sixth place with 19 points. Next for Vipers is a home game in the CAF Champions League second leg qualifiers against Algeria’s CS Constantine on Friday before facing Tooro United in the league.